← What is this category page? I don’t need social justice in my life to survive. I am a young, middle-class white woman who serves to benefit from society for no other reason than white privilege. I do not need to feel guilty about being white or having white privilege without asking for it. It’s not my fault I was born white and middle-class. I don’t need social justice in my life. Let that sink in for a moment. I do not need social justice in my life to survive. I count on my fingers what I need to survive: air, water, food, and shelter and clothing to regulate my body temperature. I didn’t say social justice. I didn’t say equity, accountability, troubling moments, or critical thinking. I don’t need those things in my life. I can survive perfectly fine without ever interacting with social justice. I do not need social justice in my life, but I want it in my life. That goes on a whole other list – the list of wants. I want social justice in my life because I am a young, middle-class white woman who serves to benefit from society for no other reason than white privilege. I want to feel guilty from benefiting from white privilege because there is nothing I did or did not do to gain it. I’m a member of the majority by being white, and because I am recognized as having a voice I need to speak out for others. As I mentioned in the previous post, today I became a STARSRegina member. I thought that I would commence this journey by writing a post about the fact that I don’t need social justice is the very reason that I should be fighting for social justice. I was speaking with someone yesterday after the STARSRegina’s Professional Development (PD) event, which was hosting a panelist conversation about social justice (check out #STARSRegina and #SJpanel on Twitter). I told this person that I was going to the recruitment meeting the next day (today) and planning to join this group. Their response? Let me replicate our conversation. Anonymous: Don’t do that. Stay away from that. A: Isn’t that kind of radical? Me: Yes, I guess so. Social Justice work is radical in the sense that it goes agains the majority. A: Yeah, I don’t know what that means. Me: It’s what we’ve been talking about in all of our classes, like racism. This is saying that everyone should have equality. A: You’ll never be able to leave the country if you are so political. The radical ones are the ones who go missing in other countries. Me: But I’m not even talking about other countries. I’m talking about my own – this is Canada. We need help here in my own country with this. A: Well I don’t know if it’s a good idea. Me: You’re a nurse. Telling me to stay away from a social justice group because it could be harmful is like telling you to stay away from learning First Aid. These are my building blocks for my career. In fact, you need them too. Everyone does because social justice is really about everyone. I kid you not, this was nearly the exact wording of our conversation. I mentioned this at the meeting today and was commended on my metaphor of Social Justice being like First Aid. Well, it’s as true to me now as it was in that moment of fierce passion when I was defending my choice. Plus, it doesn’t hurt that I’m training to be an English teacher and literary devices are kinda my thing. This is just the beginning of my online ponderings. Social Justice issues have become a passion of mine. I’m not the best teacher or all-knowing about this topic, but I have to start somewhere. As I learn and grow, I hope I never cease to challenge my beliefs, my actions and my behaviours. 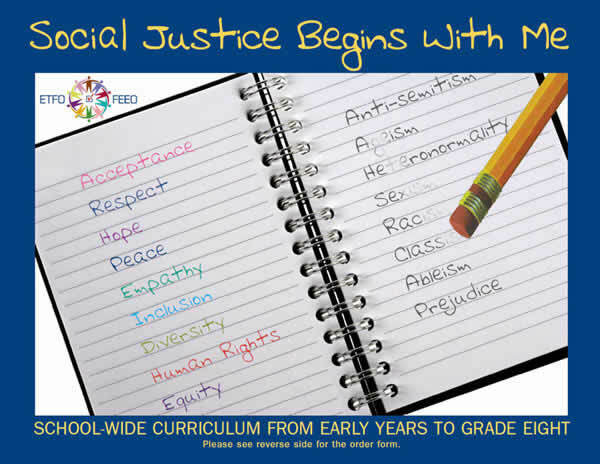 This entry was posted in Social Justice and tagged #SJpanel, #STARSRegina, Ally, Classroom Environment, Differentation, Diversity, Equality, Exceptional Learners, Inclusive Teaching, Lifelong Learners, Multiple Perspectives, Philosophy of Education, Successful Learners, Teaching Tolerance. Bookmark the permalink.